The Las Vegas Ballpark in Summerlin will be another amenity that attracts people to the master-planned community that moved up to No. 3 in the nation in 2018 in terms of sales. Summerlin, which was as low as 25th in the nation in 2011 with 221 sales, has steadily climbed back up the rankings since then. It reported 437 sales in 2014 when it was 15th in the nation and jumped back into the top 10 in 2015 and has stayed there since. It had 769 sales in 2016. Las Vegas dominated the national scene for 2018 new-home sales in master-planned communities like it hasn’t done in more than a decade by placing four in the top 21, according to rankings released by two real estate consulting firms. Southern Nevada is a respite from traffic, high cost of living and overcrowding, says one Southern California couple that recently purchased two home sites in Ascaya. The luxury residential community in Henderson has welcomed many new residents from California who are finding the mountainside community a perfect place to relocate. 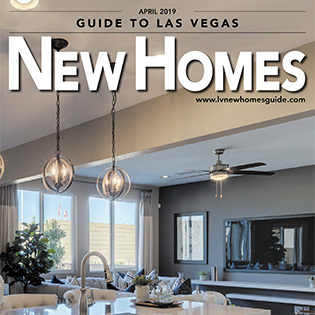 A lot has changed with Las Vegas home design since the rebound of the housing market following the Great Recession, and it’s caught the attention the building industry in the West. The potential for a recession in 2020 and 2021 will slow the nation’s housing market, but Las Vegas is well-positioned to weather that this time around, according to California experts who track the Southern Nevada marketplace. The first event in the NAREB series on Wednesday had developers and builders talk about where luxury is going, what their plans are and their forecast. Eldorado, Pardee Homes’ master-planned community that helped shape the history of North Las Vegas is about to close out its last neighborhoods after 28 years. Looking for something specific in New Homes?